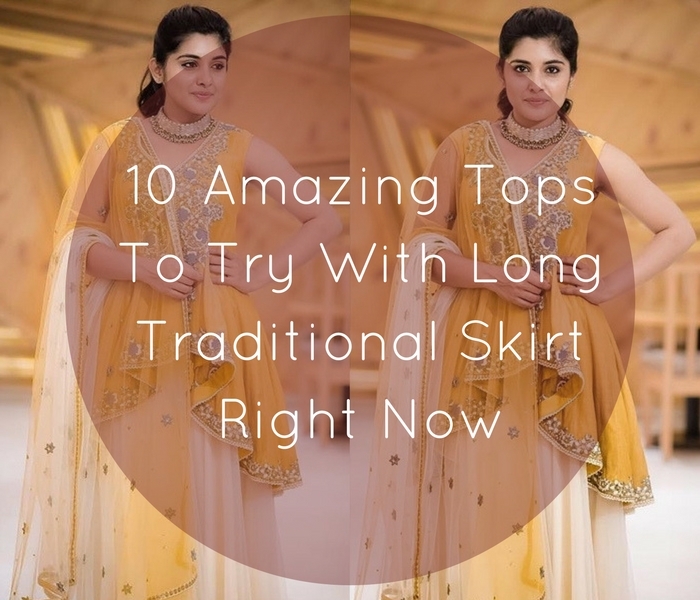 Long traditional skirts might safely be reserved for conservative styling and homely events. But that’s not the case anymore. If there is one thing that is not so stable in the fashion world, it is the ever changing trend. 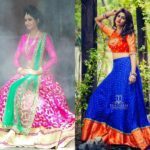 With our lead bollywood divas showing hitherto unknown ways to explore these traditional skirts with eye-catching tops, and make it look like a million buck material, then we as an ardent fashion lover should give it a try without a blink. 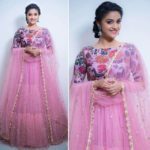 Going forward, we request you to stop reserving your skirt dress for family events and other personal parties, because seriously the dress can offer you a lot. You only need to know how to pair them with some cool tops that are making waves in the fashion scene. It might take you by surprise. 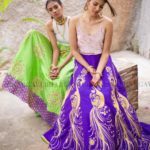 But when you see how Shilpa Reddy carried off this style below, you will get to know how easy (and also stylish) for you to create an indo-western look with just the basic tee and silk skirt you have at your closet. 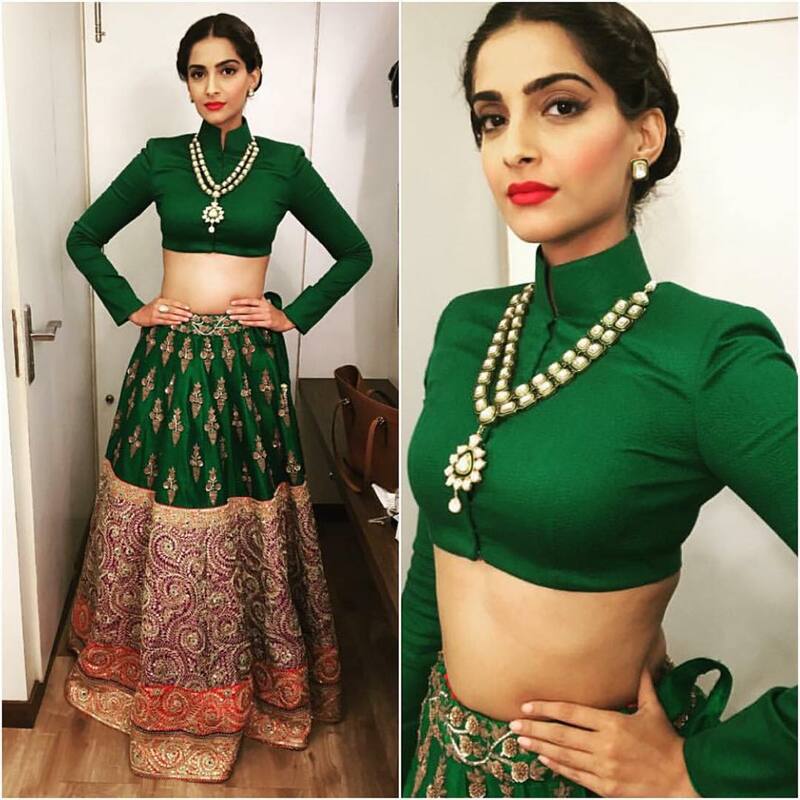 This is such a trending style which seems to be in every celeb’s bucket list. Quite understandable. Because, this flattering mix is so hard to resist. 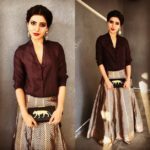 If you love fusion wears, then it is pretty simple to convert your skirt to something which you can flaunt for office meetings and parties. All you have to do is, slip into your favorite coat. Throw in your favourite kurta over a glittery skirt, you can be sure to look best on this party wear. To get a layered vibe to an otherwise simple skirt look, try pairing them with peplum tops. This is a must try for those who love structured looks. For a polished skirt look, get your figure hugging blazer to do the job. Finish this edgy look with hair bun and kundan jewellery. 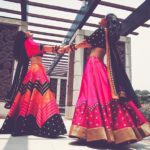 Yes, we all know how crop tops and skirts can make a best duo. However, to elevate this well established style, try wearing a statement high neck crop tops and your style will stand miles apart from the crowd. This is another chic option that can instantly boost your skirt style. 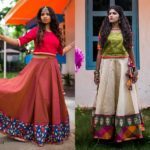 If you have heavy work skirt, then plain tops with exaggerated sleeves can maintain the rhythm of your look still keeping the style quotient intact. 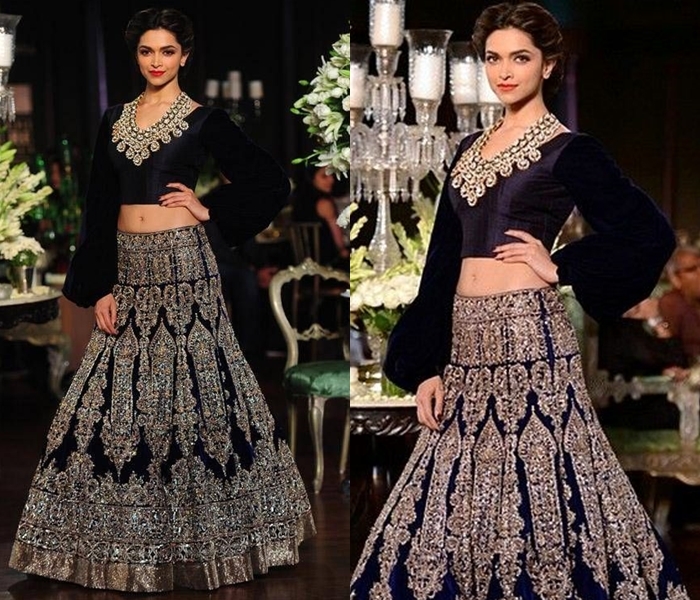 Figure hugging saree and lehenga blouse can even grace your long ethnic skirts. 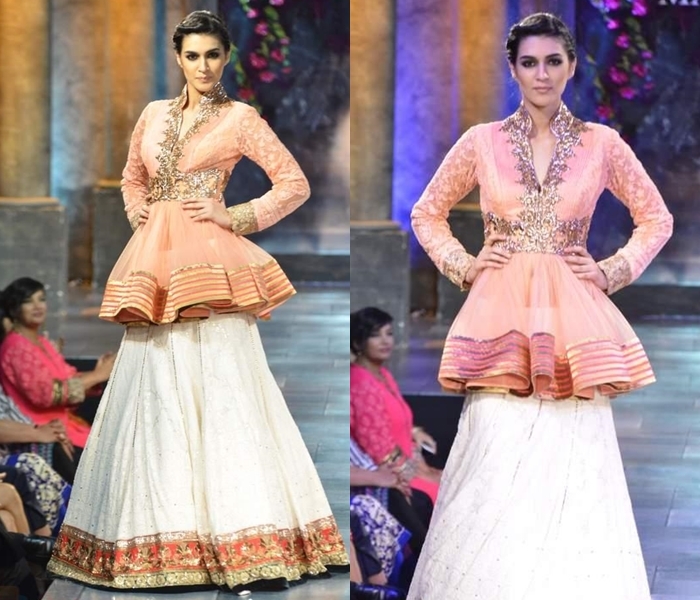 If you find the blouse bodice too clinching, then layer it up with a dupatta to ease out the look. 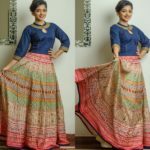 Floor touching long kurtha tops with slits at right places to attenuate the silhouette is another alluring option to try with your long skirts. If you consider going statement with your skirt tops, then hemlines are the right place to have some fun. High low or asymmetric hemlines are rather taking spellbinding forms in all modern outfits. You can style your skirt with an attractive top like the one below. 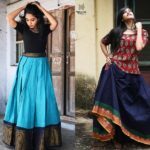 These are some innovate tops ideas that you can flaunt with long traditional skirts. Be sure to try them out and let us know how you styled in the comment box below.